This comparative reader takes an anthropological approach to the study of religious beliefs, both strange and familiar. The engaging articles on all key issues related to the anthropology of religion grab the attention of students, while giving them an excellent foundation in contemporary ideas and approaches in the field. The multiple authors included in each chapter represent a range of interests, geographic foci, and ways of looking at each subject. Divided into 10 chapters, this book begins with a broad view of anthropological ways of looking at religion, and moves on to some of the core topics within the subject, such as myth, ritual, and the various types of religious specialists. 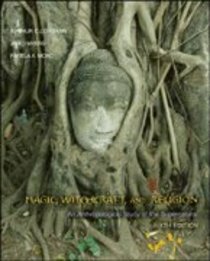 About "Magic, Witchcraft, and Religion"